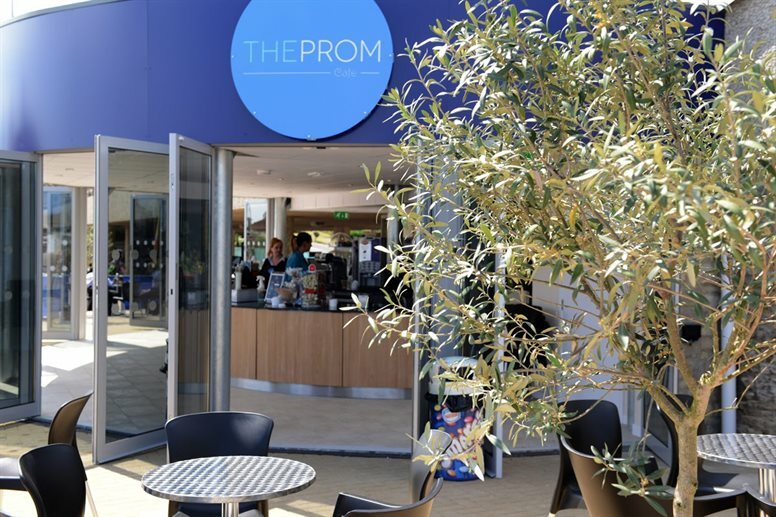 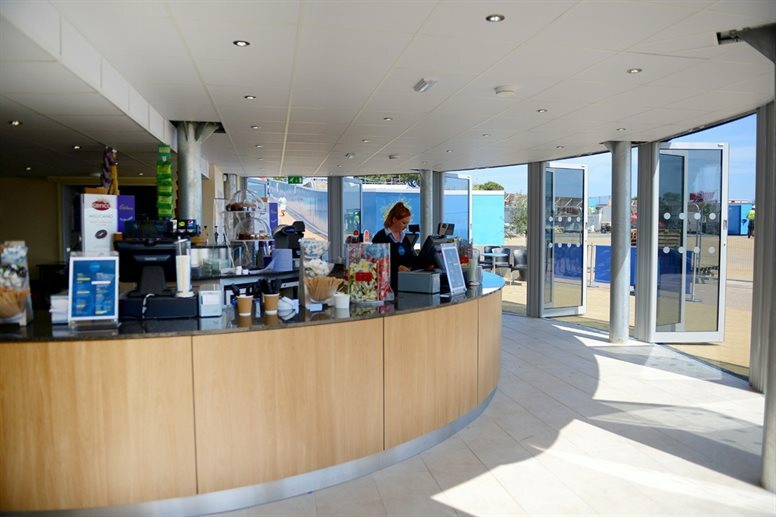 Located at Pier Approach on Bournemouth seafront, The Pier Café building maximises its indoor and outdoor space and surroundings and caters for all-weather. 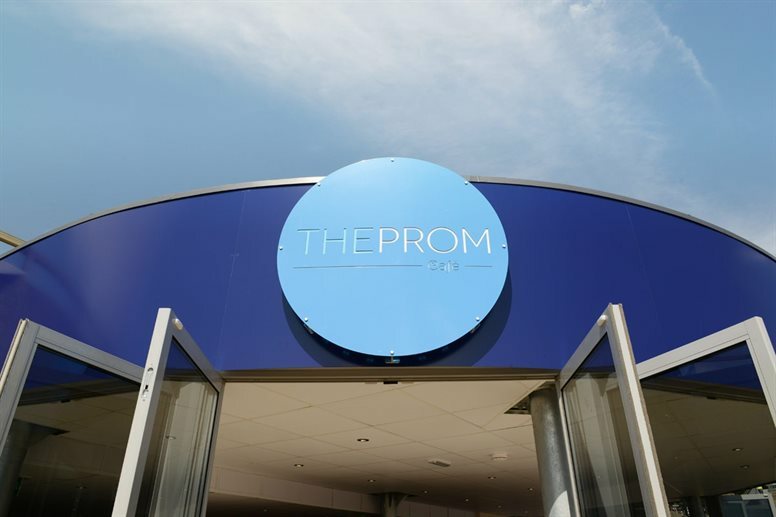 It’s iconic semi-circular facade features wraparound floor-to-ceiling glass doors which allow the interiors to merge with the outdoors: the expansive promenade vista and seafront setting. 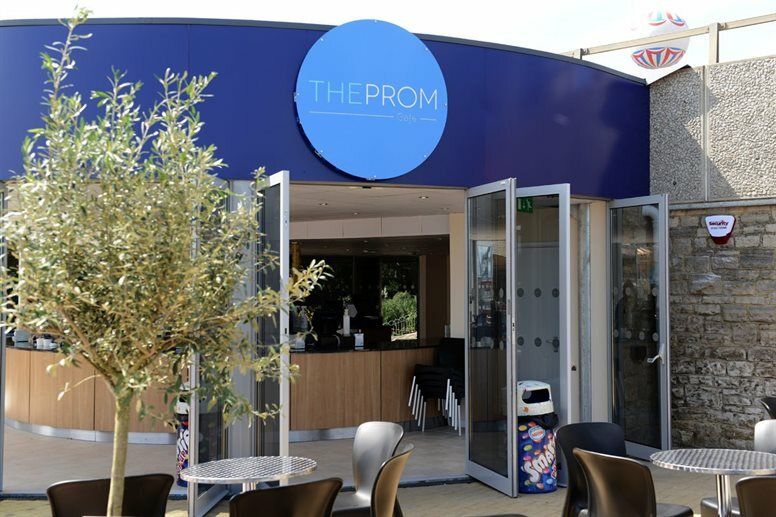 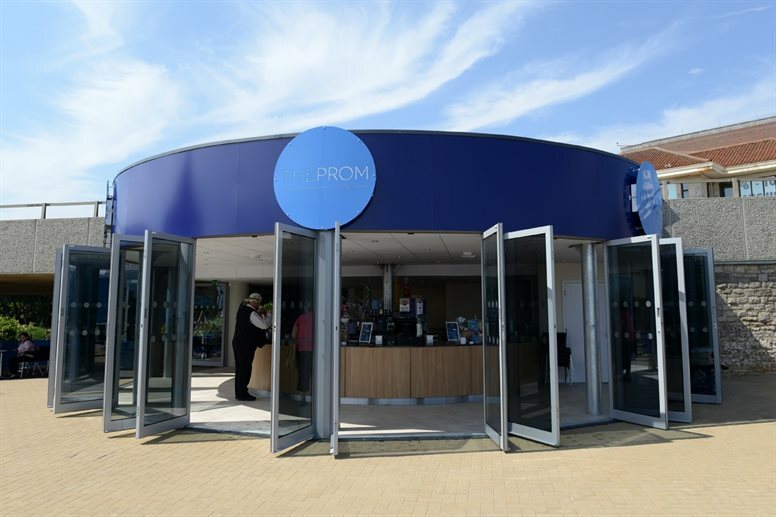 The space had originally been a storeroom for many years for seafront kiosks until its transformation to The Prom Café. 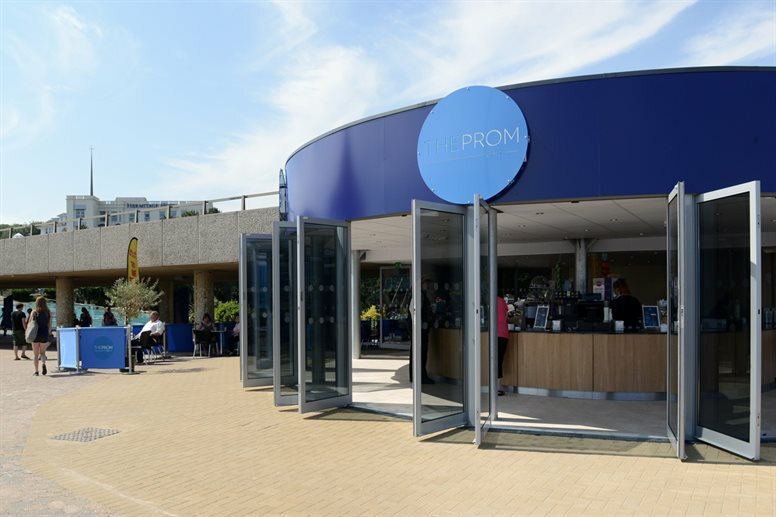 The café’s opening coincided with the first concert at the adjacent major outdoor event area, which featured a performance by Bournemouth Symphony Orchestra.